Google, after measuring the outbreak of its famous web browser Google Chrome, decided to deploy an individual machine running Chrome OS. Primarily designed to provide users what they love to do the most, Chromebook solely focuses on a web browser connected to internet and most of the applications with their data completely residing on the cloud. Besides they are shipped with 8-128GB SSDs which can be upgraded anytime. Chromebook upon installation asks for a Google account which is used to synchronize all the data via the account. From an investigative point of view user footprints such as search history, download history, location, user data can all be investigated using that particular Gmail account the suspect is signed in with. Investigator can leverage Google’s takeout feature to download complete user data at once without even going through the gruesome pain of acquiring and investigating the system. But let’s prepare for the worst, to be sure that the suspect is savvy enough to wipe out Google data easily. Or logs in using guest account, then the method fails invariably. The primary step towards an investigation is to first acquire physical or logical image of the potential source of evidence. 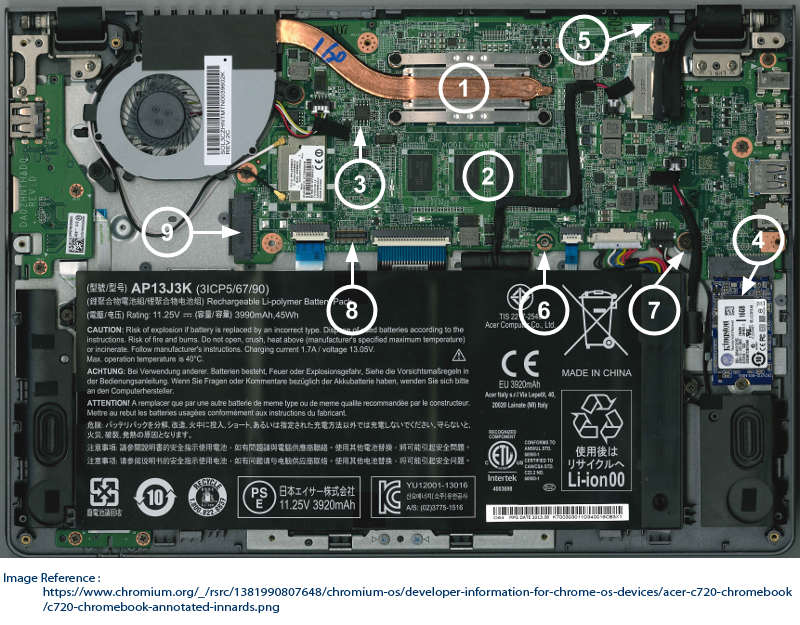 Chromebook although leaves nothing substantial but as discussed earlier it surely does provide SSD for internal storage which might be a viable source of probative evidence. As soon as you enable developer mode, it will display “Chrome OS verification is turned off. Press space to begin recovery” respectively. As soon as you enter the developer mode the next course of action is to boot using a live OS and execute forensic cloning of SSD using DD or DCFLDD commands respectively. There is a major flaw in the process! Chromium OS hard resets your device and erases the data completely off the device. Which completely defeats your purpose to enter into the developer mode in the first place. That although is a major setback for an investigator during the process of Chromebook Forensics, but there are other ways round to perform this. Forensic Utilities that support Network Acquisition might come handy, provided they should support chromium OS and leverage software based write blocker/protection to preserve evidence integrity. 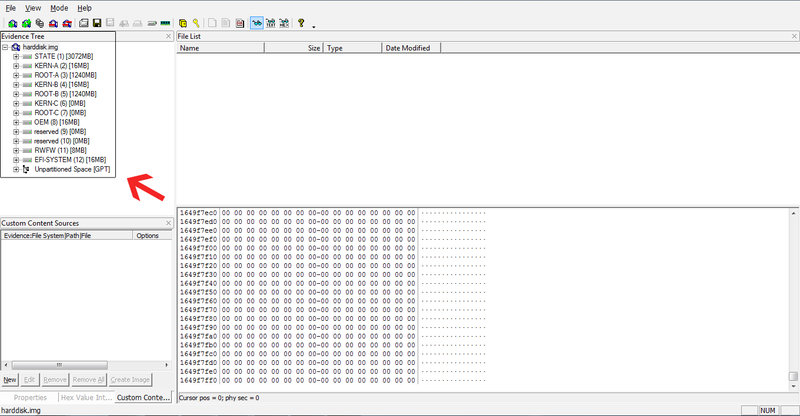 Now, upon analyzing each and every partition, investigator is greeted with a variety of user information. As discussed earlier, almost each and every data is encrypted in Chromebook. However, data can be analyzed and investigated after understanding the complete encryption process. Upon complete investigation you may encounter SQLite database, configuration files, relevant browsed images, & much more. Volatile memory has always been a valuable treasure for investigators, considering the amount of user data to be retrieved. Acquiring Chromebook RAM dumps is however a tedious process than usual. Considering the scenario that investigators manage to capture suspect’s Chromebook in a running state, a lot of evidence would yield. 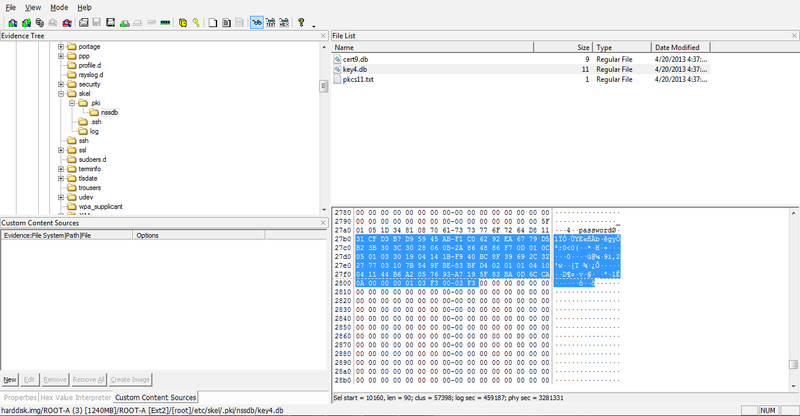 Volatile memory dumps might contain, user passwords, browsing history and any other extension activity easily. There is a very high possibility of locating application specific data such as chats, descriptions, messages, etc. via RAM dumps. 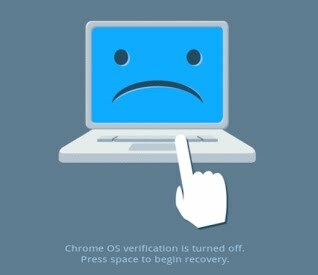 Google Chromebook maintains its reputation to secure user data and maintain its integrity. For an investigator it is a nightmare to conduct Chromebook Forensics by uncovering layers of protection to acquire evidence and then analyze. Chromebook uses encryption to protect data by using eCrypt File System which maintains a lock and key concept while encrypting & decrypting data. Adding to that, nothing else could be performed in Chromium OS other than regular we surfing using chrome, performing additional tasks using extensions or copy, move & edit data from drives unless you have developer mode enabled. Developer mode comes with a punch that is to secure wipe resident data from physical drives which makes the process a dead end. Chromebook data can be acquired by non-traditional methods by using forensic imaging hardware such as tableau. While acquiring volatile memory from RAM again investigator either has to freeze, remove, mount and dump the ram or be lucky enough to get a Chromebook running in developer mode. *Note: The screenshots used in this post are intended for educational/informational purpose. In case of any issues/discrepancy contact the administrator or author to takedown content/propitiatory images.